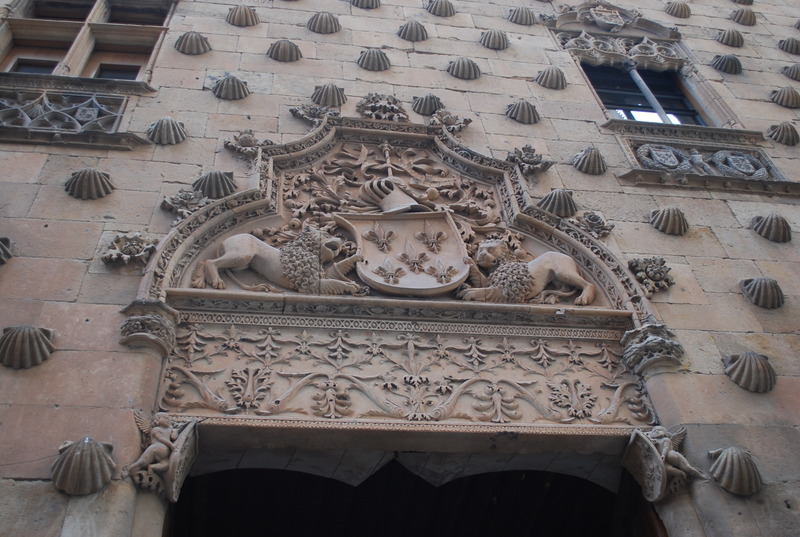 How old do you have to be to exist in Salamanca? 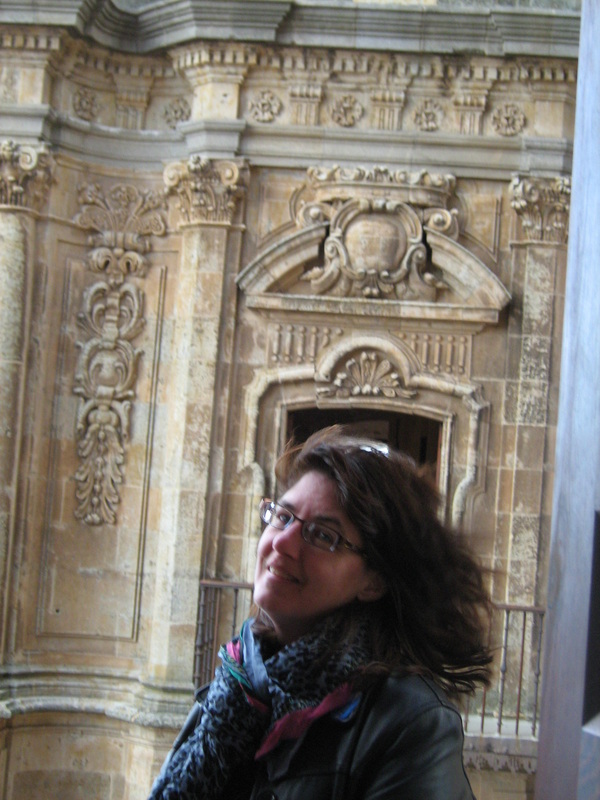 Of the twelve cities in thirteen days I visited this past month, Salamanca has to be my favorite. 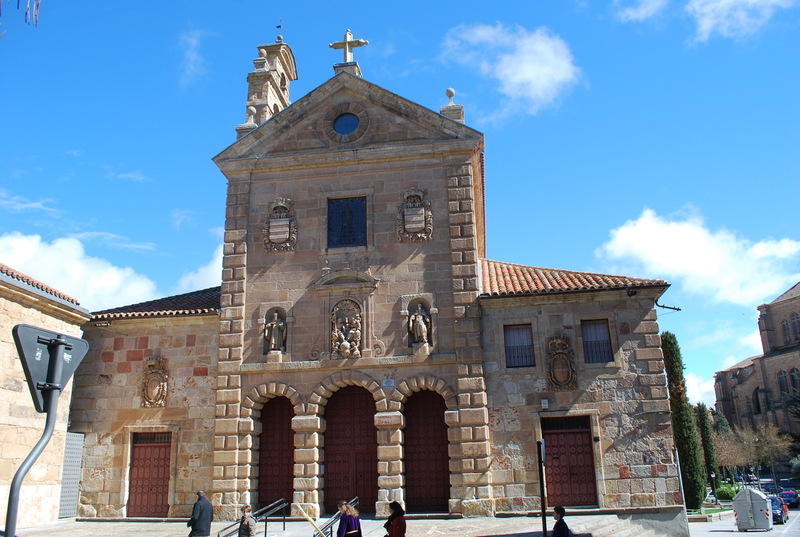 What an historical and beautiful city. Every corner I turned I was amazed by another architectural wonder and feat of this city that dates back to the times of BEFORE the Romans. 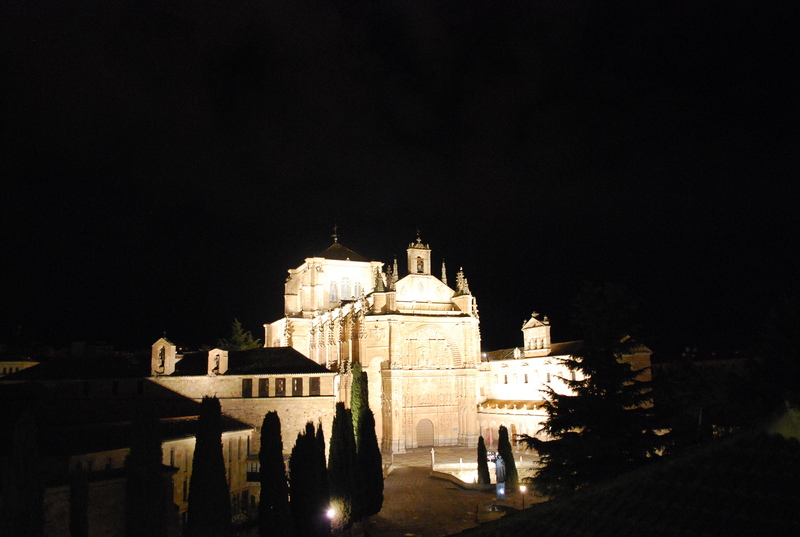 The University of Salamanca is the oldest in Spain, constructed in 1218, and is the most culturally diverse and largest. 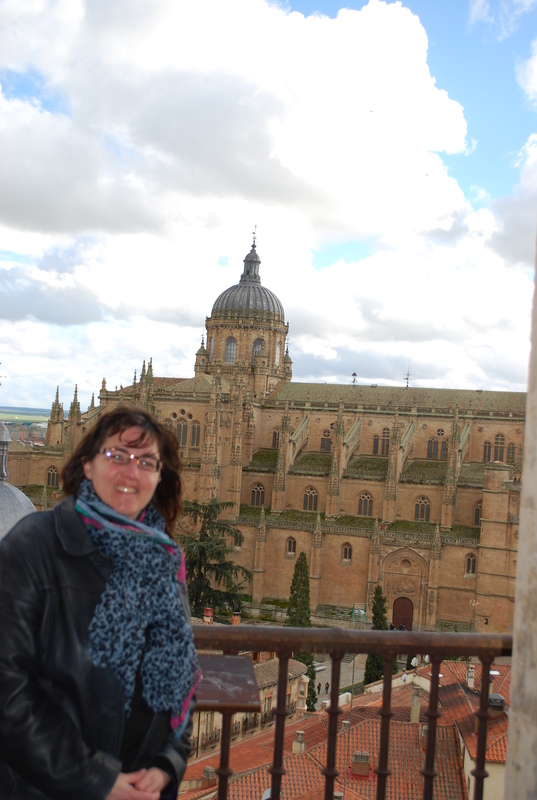 My friend Tammy and I had the most beautiful view outside of our hotel room (of a convent/monastery) anyone could ask for and convenient to all of the Old Town of Salamanca. 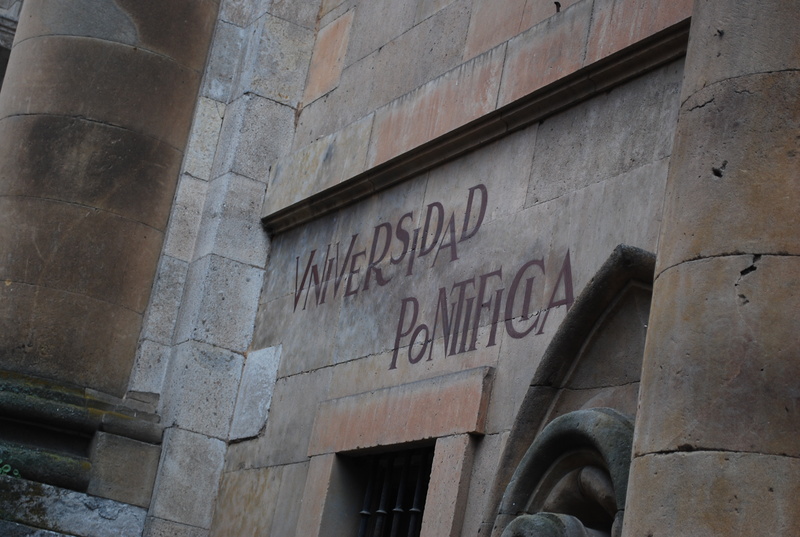 We visited the Universidad Pontifica, which, with its towers, had the most spectacular views of the city and the Casa de las Conchas. 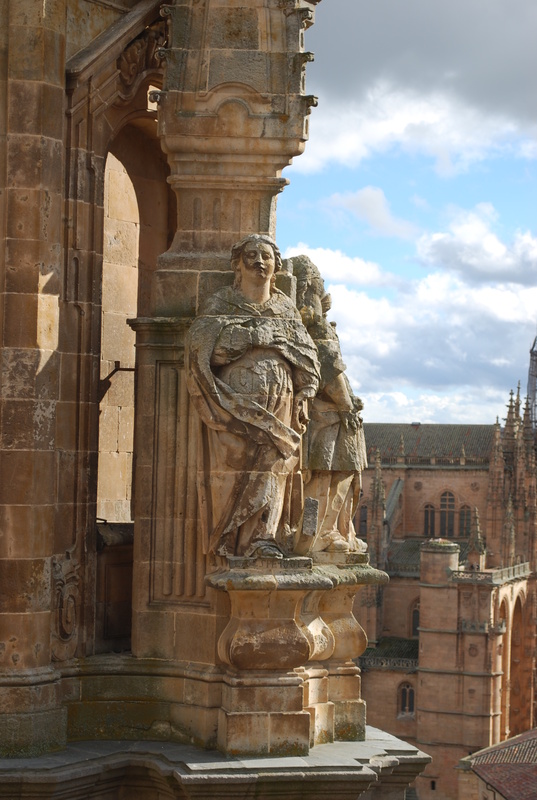 The University of Salamanca is gorgeous, with its ornate structures and carvings on the facade, one of which is the infamous frog of Salamanca. 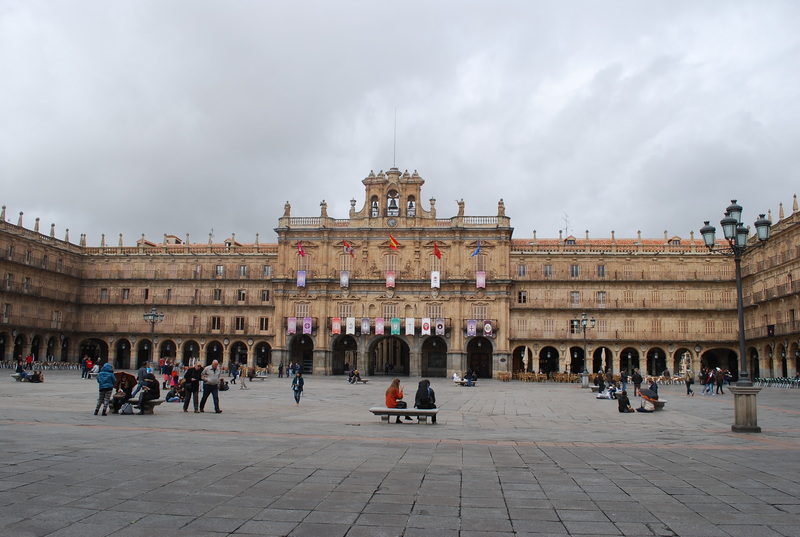 The Plaza Mayor of Salamanca was beyond words and rivals that of Madrid (actually, in this blogger’s opinion is BETTER than Madrid’s) and was abuzz with activity and numerous cafes and restaurants. 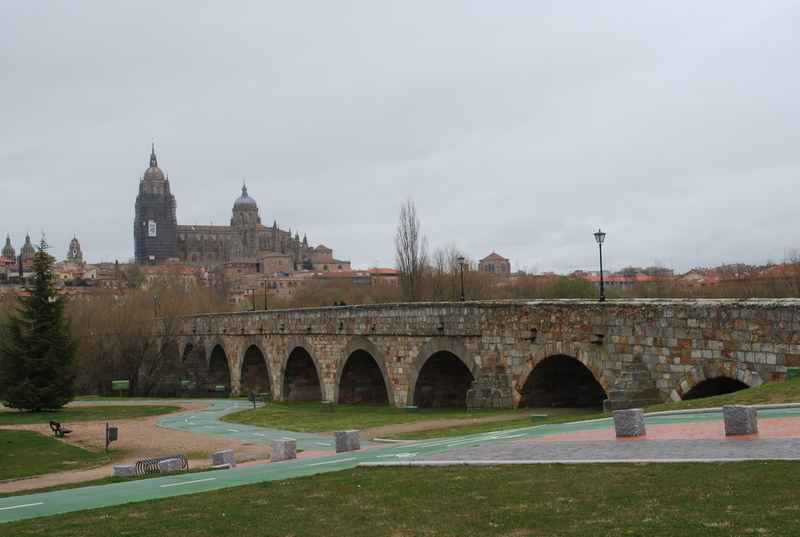 I believe the highlight of the trip was on our way out of town as we stopped at the Puente Romano (Roman Bridge), constructed in the first century. Despite the wind, the rain and the cold, Tammy and I walked the length of the bridge and imagined ourselves being a part of a Roman procession with Roman soldiers and chariots, two thousand years ago, stepping on the same stones, walking the same paths, and feeling the same smooth cobblestone beneath our feet as those Romans did, oh so long ago. 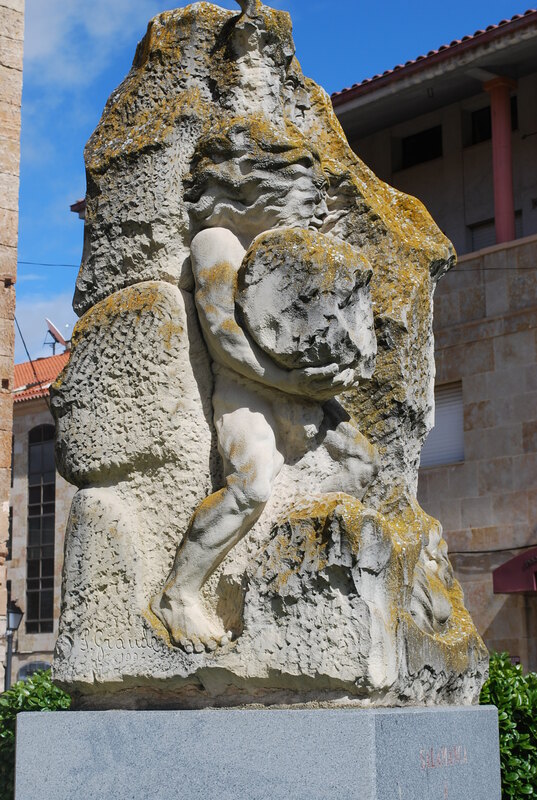 Salamanca…City you MUST see on a trip to Spain.